As we are preparing for our big move to Texas, my family and I have been enjoying spending time with friends and family. 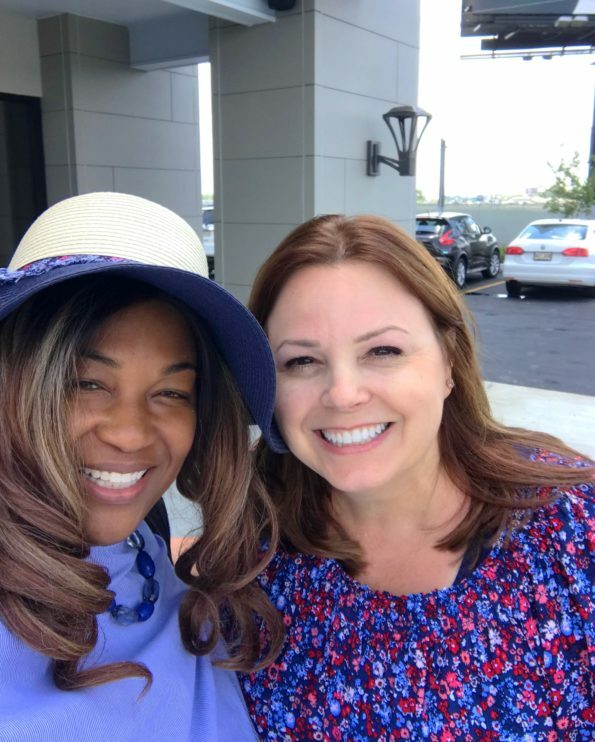 A few weeks ago my friend, Patrica and I had lunch. She is one of my favorite people to grab lunch with. She makes me laugh and is so encouraging. 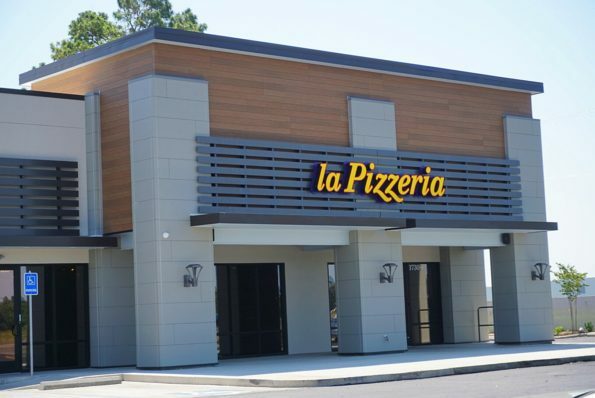 For this lunch, we decided to check out the new La Pizzeria in Carencro. 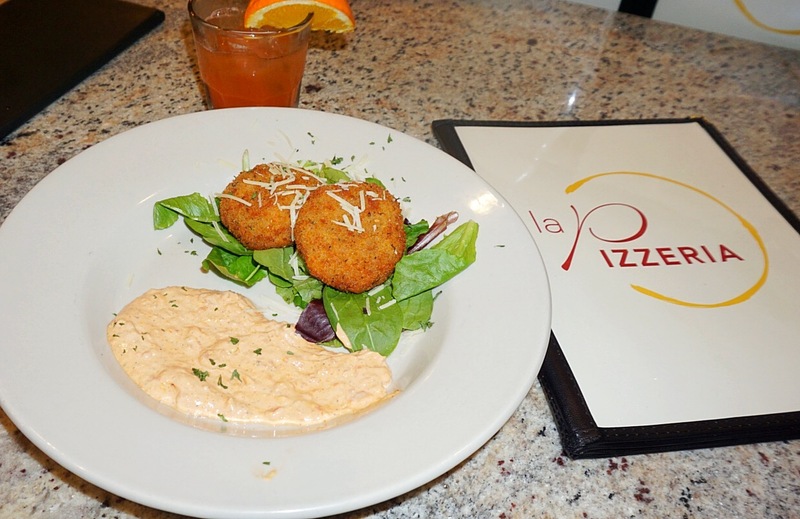 La Pizzeria is a locally owned and operated Authentic Italian Restaurant. 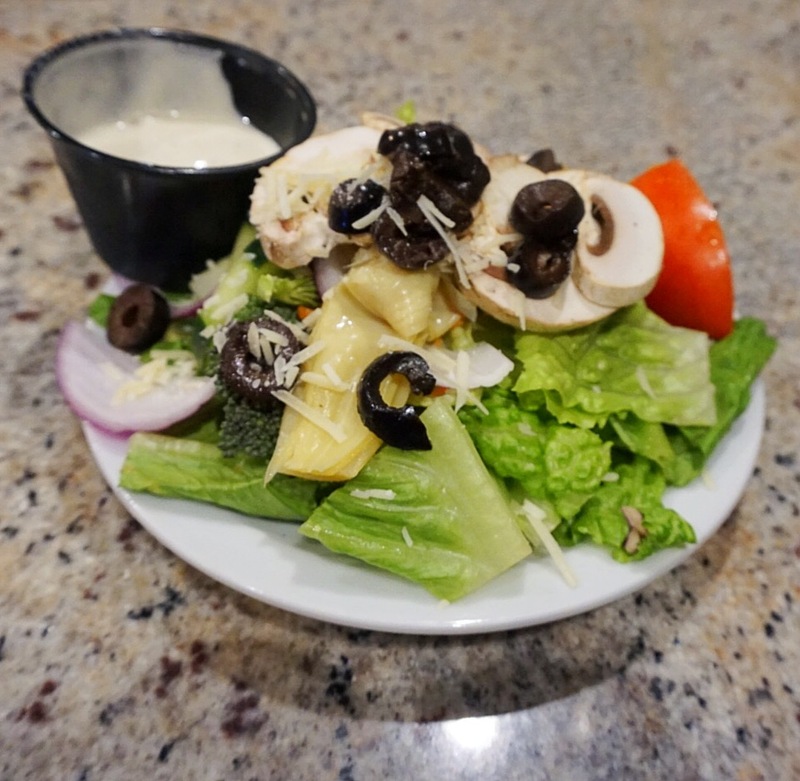 Offering menu items like Pizza, Pasta, Salads, Calzones and much more. We arrived at the restaurant right before the lunch rush. The restaurant had a cool look and vibe. I loved the wooden booths and tables, with elegant, classy chandeliers. The bar area was separate from the restaurant which was one thing I loved about the restaurant. A kid-friendly environment which is perfect for a family outing. 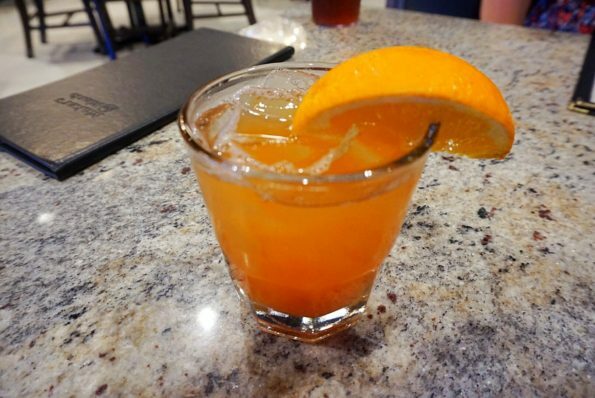 I ordered a mocktail from the bar. The bartender was amazing, she whipped up a delicious orange mocktail. I must say, she had never made a mocktail before but she nailed it. Superb! 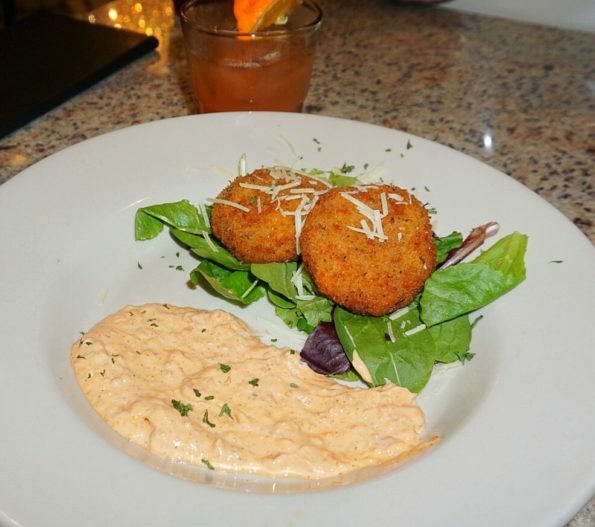 We ordered the Crab & Shrimp Cakes appetizers. The cakes were made of Louisiana lump crab and shrimp served with a remoulade sauce. The dish was interestingly plated. As a food writer & critic, I am not only looking for a dish that is tasty, but also the visual appeal of the dish. I wasn’t sure why the sauce was on one side, then the lettuce, cakes and cheese on the opposite side. 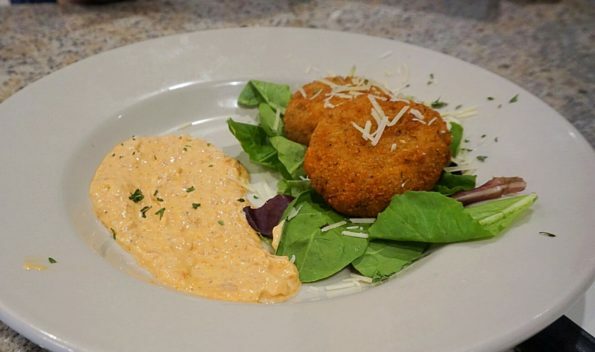 Just my opinion, the dish would have been visually stunning had they placed the sauce at the bottom and topped the lettuce and cakes with cheese on top. With that being said, the dish was delicious. The cakes had an incredible flavor and the remoulade sauce paired nicely with the cakes. A really good choice. 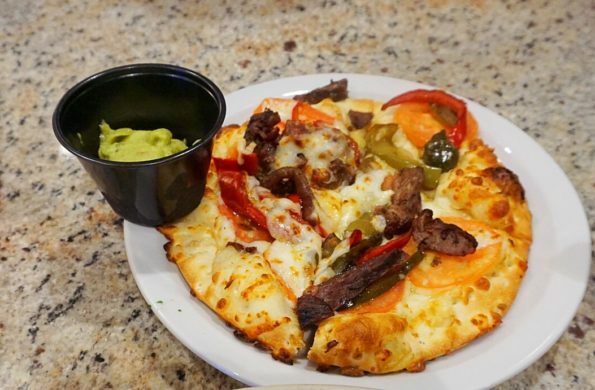 Patrica ordered a Signature Pizza, the Carne Asada. The Pizza consisted of Grilled steak, fire roasted poblano peppers, purple onions, red bell peppers, seasoned garlic spread and monterey jack and mozzarella cheeses topped with fresh tomatoes. Served with side of guacamole. The pizzas are available in a 10″, 12″ and 14″. She ordered the 10″ and it was the right size. Also served with a side salad. The salad she chose was the Garden Delight. Made of Mixed greens, tomatoes, broccoli, artichoke hearts, cucumbers, mushrooms, purple onions, croutons, parmesan, bell peppers, black olives and ranch dressing. A really good pizza. 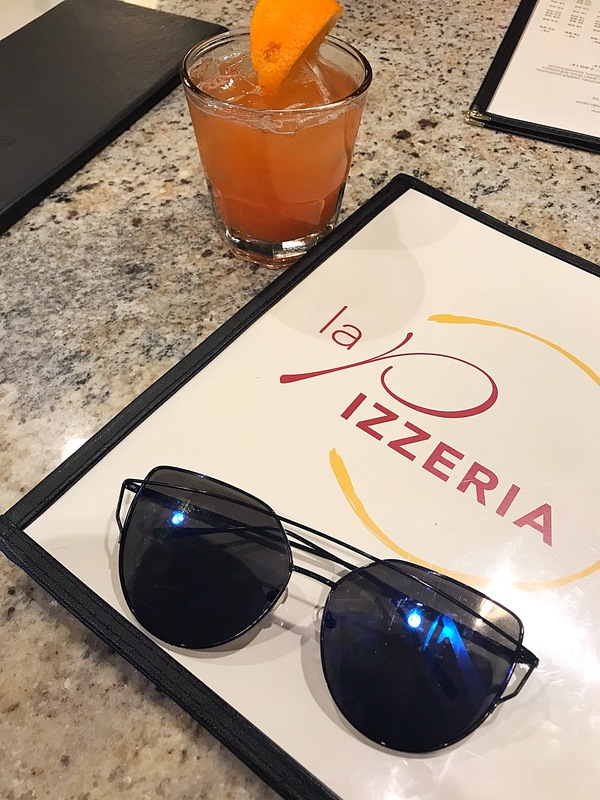 La Pizzeria has many good Pizza options. On a diet and you can’t have a regular pizza, no worries. The also serve pizzas made of Cauliflower Crust, Kibbi Crust, Grilled Crust and much more. I ordered the Pecan Crusted Chicken. 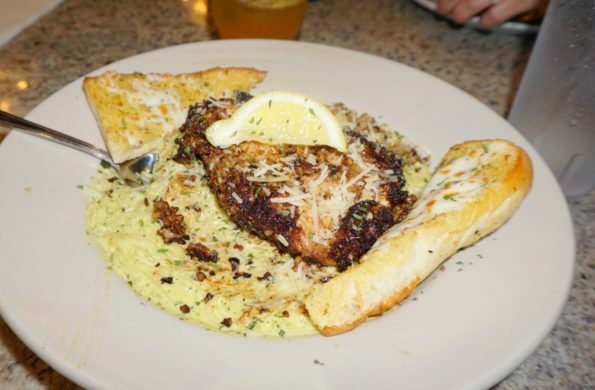 A Chicken breast crusted with pecans served over angel hair pasta tossed in a pesto cream sauce with sun-dried tomatoes and portabello mushroooms. Served with cheesy bread. I have to admit I was a little hesitant to try this dish because Pesto flavor can be strong, but this one was not. This dish was incredibly delicious. Amazing. My mouth is watering just talking about this dish. The pesto cream sauce was creamy and well seasoned. The pecan crusted chicken added a nice texture to the dish. My only complaint was that the chicken wasn’t evenly browned color wise on the exterior. Again this goes back to presentation. But the dish didn’t lack in flavor. Overall we loved our lunch at La Pizzeria. I was very impressed with the menu offerings, the look of the restaurant both inside and exterior. The service was spot on. The food was delicious. Everything was delicious. My only complaint would be the presentation of their dishes. 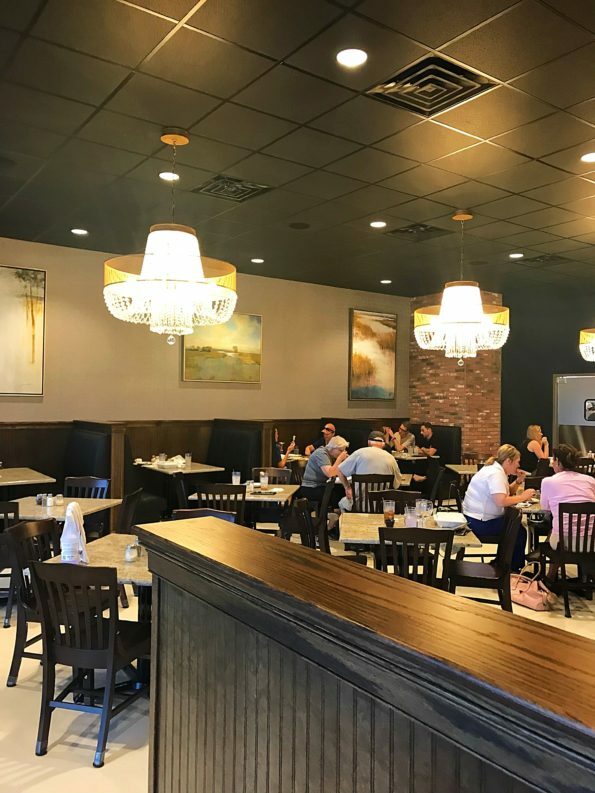 But I know they have only been opened a few months and it takes time to train the cooks and get the plating of dishes perfect. Other than that the dishes were incredible. They have a really nice operation at La Pizzeria. 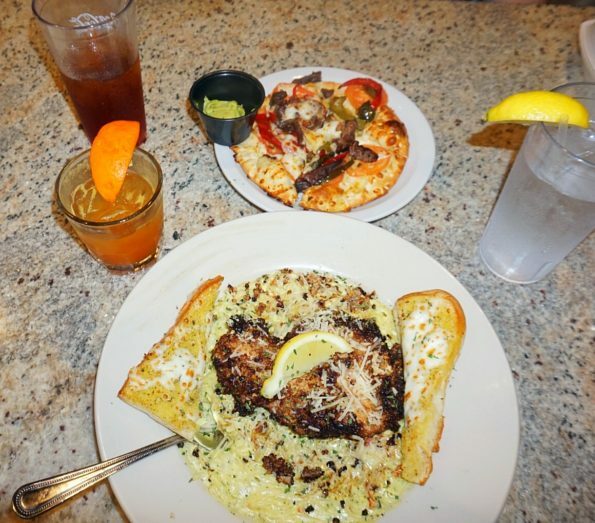 There are a few dishes that I want to go back and try before I leave the Louisiana area. 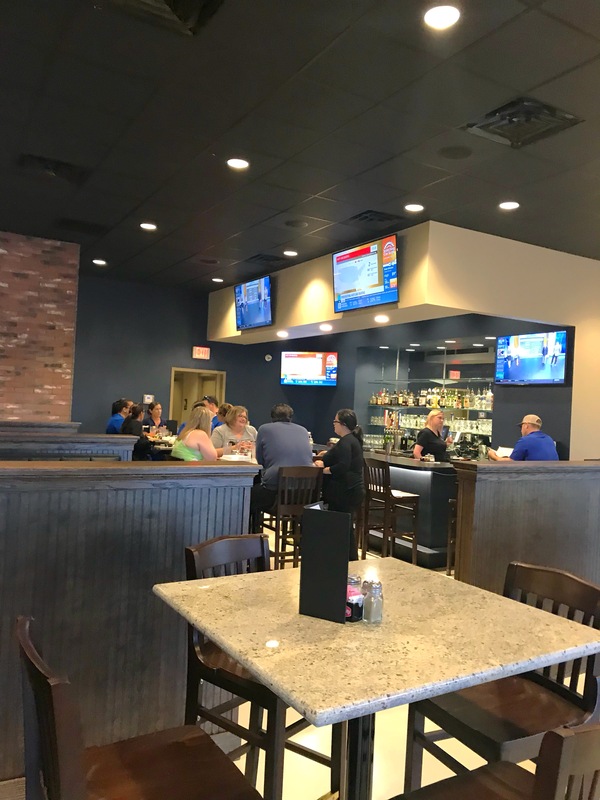 Monday – Thursday 11:00 a.m. – 9:00 p.m., Friday – Saturday 11:00 a.m. – 10:00 p.m. and Sunday 11:00 a.m. – 9:00 p.m.
Go and check out their new location and be sure to tell them that Da’ Stylish Foodie sent you!